Pollensa is a popular beach holiday resort in Majorca, Spain. Holidaymakers may find great day out activities and entertainment in Puerto Pollensa. Below you may find the Top 10 things to do in Puerto Pollensa. A great day out at the beaches in Pollensa and enjoy sun and sea is also one of the greatest things to do in Pollensa. As for beaches in Pollensa; there are two main beaches of Pollensa on Puerto Pollensa and Pollensa Bay. A great day out at the Pollensa Old Town and experiencing the authentic Majorcan life by visiting the Gothic church, narrow streets and climbing the Calvary Hill (Calvary Way) for great views of the island is one of the best things to do in Pollensa. 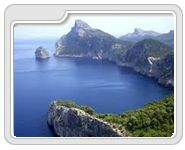 A ride to the Cap de Formentor and enjoy the beautiful scenery and nature is a must for the nature lovers. The area is about 385 metres from the sea level. 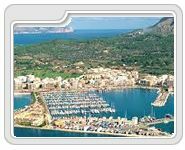 Participating to a daily boat trip and explore the beautiful coasts and bays of Puerto Pollensa and surrounding area is one of the best things to do in Pollensa. Holidaymakers may catch a boat from the marina of Pollensa to the secluded cove of Formenter and enjoy the Formentor beach. Cycling and mountain biking along the beautiful coastline and natural beauties of Puerto Pollensa and surrounding area is also a great attraction for outdoor sports & nature lovers and also one of the best things to do in Pollensa. Holidaymakers may also find variety of water sports on the Pollensa Bay such as water ski, jet ski, banana-riding, pedal boats and paragliding. In addition; Scuba diving along the beautiful shores of Pollensa is also a great attraction in Pollensa for diving lovers. 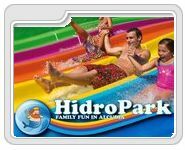 Holidaymakers may spend fun day out at the popular water park, Hidropark in Alcudia and enjoy the great rides and slides. Another excursion option from Pollensa is the capital city of Palma. Palma de Mallorca is located about 58 km. from Pollensa. Enjoying the beautiful scenery of Palma de Mallorca is one of the best excursions from Pollensa. 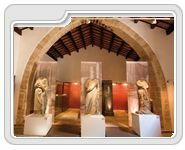 There are many great places to visit and see in Palma de Mallorca for the holidaymakers that include; Bellver Castle, sa Llotja (old commercial exchange), the La Almudaina Royal Palace (the old Citadel) and the La Seu Cathedral. The whole route should be done on foot. Hardly any distance at all separates the Cathedral from the Almudaina, the Mallorcan Museum and the Moorish Baths. 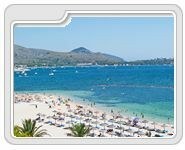 Alcudia (Port d’Alcudia) is another popular holiday resort in Majorca. For the ones to explore the surrounding area in Pollensa (Puerto Pollensa), Alcudia is located only 8 km. from Puerto Pollensa within a short taxi ride. 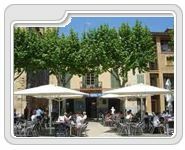 Holidaymakers may visit the old town of Alcudia and explore the Roman ruins, ancient city walls and quaint narrow streets and have great day out.